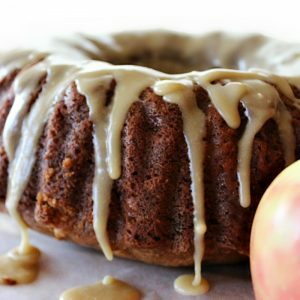 Recipe for this easy to make, delicious, caramel apple bundt cake that is topped with a sweet and creamy caramel flavored glaze. One of my goals in life is to live on a few acres and have my own miniature apple orchard. This is something I’ve dreamt of since I was a little girl. Of course, that dream has evolved as I’ve gotten older, but I still want my very own orchard (and chickens!). I’ve always loved apples–apple cider, apple butter, apple bread, yes, even apple pie. Alright, so if given a choice of dessert I would take anything chocolate over apple, but that doesn’t mean I love apple any less. It’s just that chocolate wins every.single.time. I mean, it is chocolate. And if you coat that apple in chocolate, even better. Just sayin’. Of course, given the time of year, apples are in abundance everywhere and they are so so cheap–whether you have your own mini orchard or not 😉 Anyway, I’ve been craving more apple ever since I made that wonderfully delicious apple pie a few weeks ago. 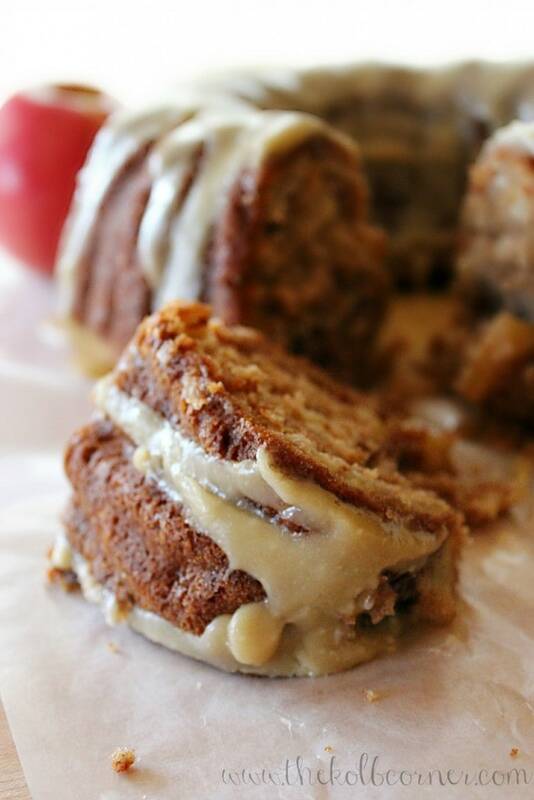 That’s where this Caramel Apple Bundt Cake comes into play. See, there was a point to all of this apple talk. 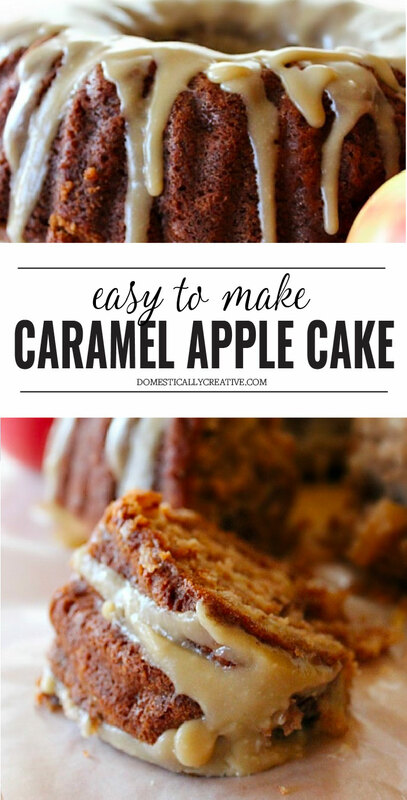 This cake is so moist, so packed full of apple flavor and the caramel glaze is the perfect topping. 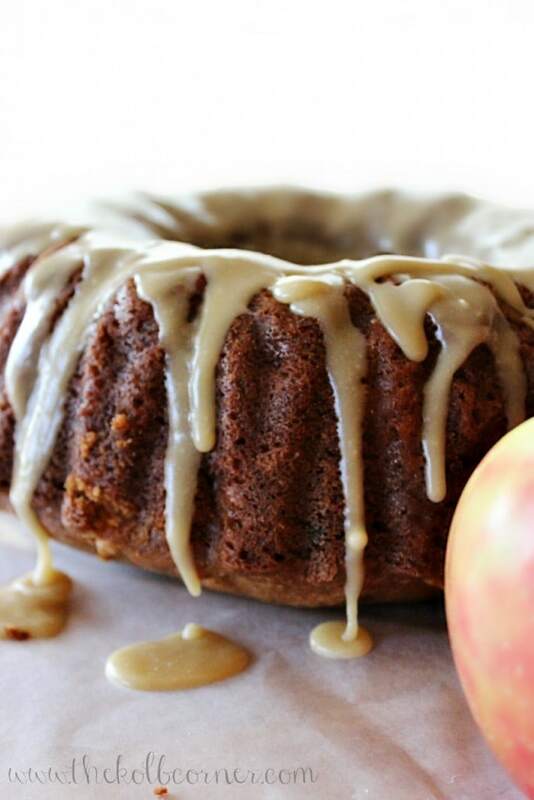 After all, caramel and apple is one of those epic pairings that you just can’t go wrong with. 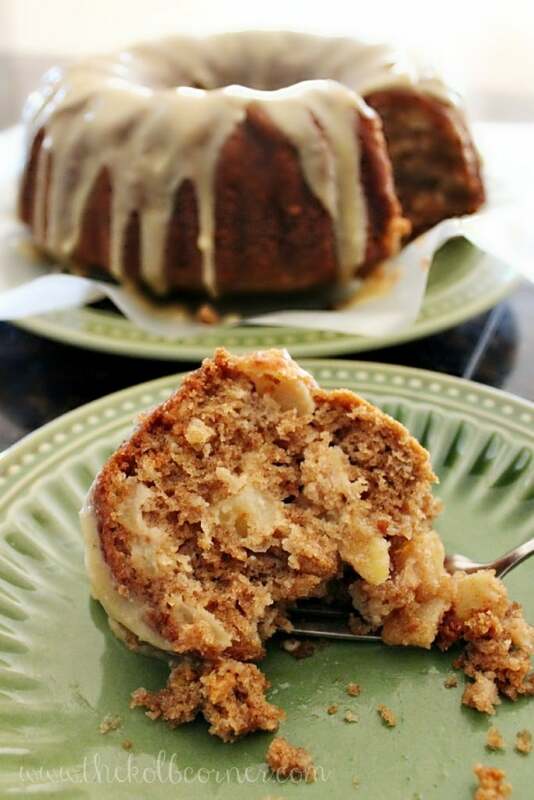 Delicious, easy apple bundt cake topped with a perfect caramel glaze. Preheat oven to 325, and lightly grease a fluted pan. In a large bowl, mix together flour, baking soda, cinnamon, nutmeg and salt. Set aside. In a separate large bowl, combine oil, applesauce, yogurt, and sugars. Mix together until well combined. Beat in eggs and vanilla until creamy. Pour mixture into dry ingredients and stir until just incorporated. Do not over mix here. Spoon mixture into prepared pan and bake for 55-65 minutes, or until wooden toothpick inserted into center comes out clean. It may be necessary to cover the edges of the cake with foil towards the end to avoid over browning. Stir in brown sugar and cream and whisk together until fully mixed. Let boil for 1 minute with no stirring. Reduce heat and let simmer 1 minute. Whisk in powdered sugar (sifted) and mix until smooth. Immediately spoon glaze over cake and let cool before serving. * I like to use Pink Lady and/or Honey Crisp apples, but use whatever your favorites are. A mixture of sweet and tart usually works well for apple desserts. ** If you do not sift the powdered sugar, it will be almost impossible to whisk out all of the little chunks--speaking from experience! Craving more delicious apple desserts? This looks amazing! I pinned it. 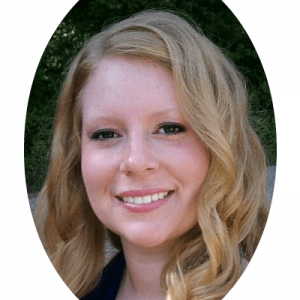 This looks incredible Amanda! Love the photos.